If you were worried that Birds of Prey, the all-female DC movie starring Margot Robbie as Harley Quinn, plus the likes of Black Canary, Huntress, and even Ewan flippin’ McGregor as Black Mask, wouldn’t have a bit of character about it… well, just read the title. Birds of Prey (and the Fantabulous Emancipation of One Harley Quinn) has the internet either laughing or loathing the mouthful of a movie subtitle. Here are some of the best Twitter reactions to its reveal. It might just take us until the Birds of Prey release date in 2020 to get all of the words out, but that hasn’t stopped a portion of Twitter from quickly reacting the only way they know how: unbridled rage. But, hey, some people are reading between the lines – which, fun fact: can be seen from space – to show that this movie is going to be full of Harley Quinn’s spirit and boundless energy. Some are even having fun with coming up with their own Daenerys-esque title. Not content with a Fantabulous Emancipation, the people of Twitter have put forth their own fine, verbose efforts. Take a look. Yes, there’s actually a movie waiting to be seen behind all of this. 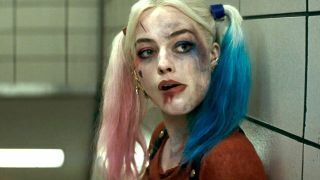 The subtitle might actually help in some respects – are we getting a Harley Quinn jailbreak movie? Please tell me we’re getting a Harley Quinn jailbreak movie?